PACCHERI (code 94) Retail - G.d.o. DESCRIPTION: It is a short but large type of pasta typical from Naples, the name of which comes from the Greek words “pas” and “keir”, meaning “full hand”, because of its size. 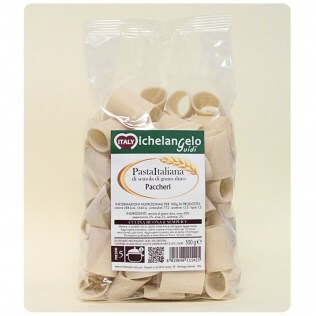 The word Paccheri means slap in Neapolitan and this type of pasta is often called like that. 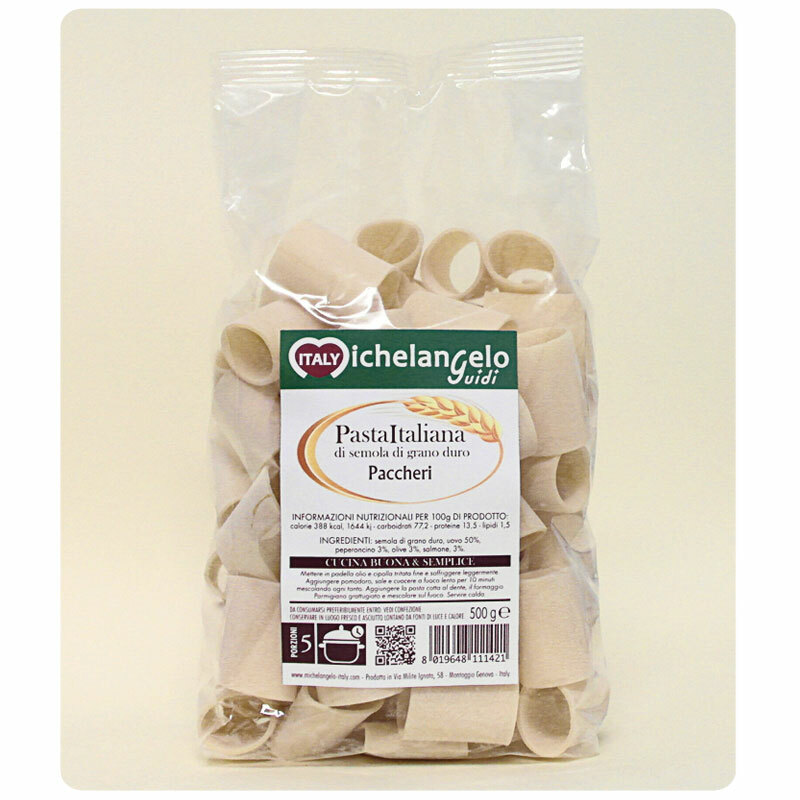 Paccheri are considered as the precursors of Cannelloni, Rigatoni, Mezze Maniche, etc. It is a refined pasta, bronze drawn, traditionally smooth (yet porous), not easy to find in common supermarkets. Paccheri match particularly well with tomato-based sauces because their porous and rough dough allows them to absorb many sauces. Thanks to their hollow tube-shape they are ideal to unleash the creativity of the chefs who enjoy stuffing them in many different ways (ricotta cheese and spinach, ragù sauce, etc.). COOKING TIME: 15 - 16 minutes (“al dente” as we love it in Italy). A few more minutes for those who like it a little softer.